Featuring a very easy yet stunning lace pattern, this pattern provides directions for a bag in 2 sizes. An ideal first lace project ! 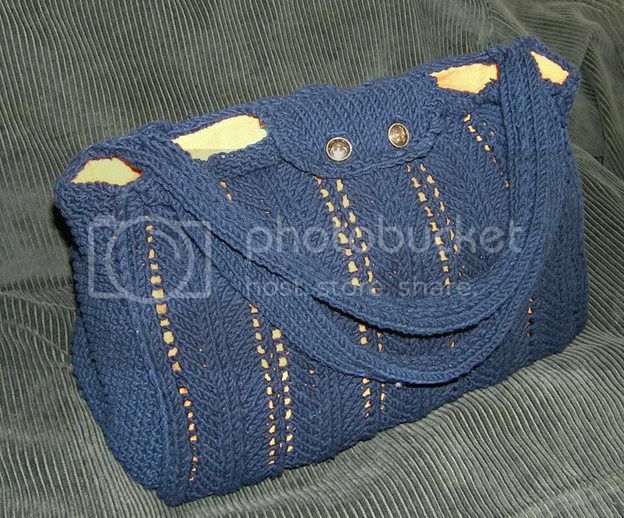 Skills required: basic knitting skills (knit, purl, k2tog, skp and yo) and basic crochet skills to join sides of bag and handles (chain and simple crochet). Or see the tutorial here ! Knitting Needles: US8 (5mm) (+ optional: smaller size circulars to pick up stitches), H/8 crochet hook. 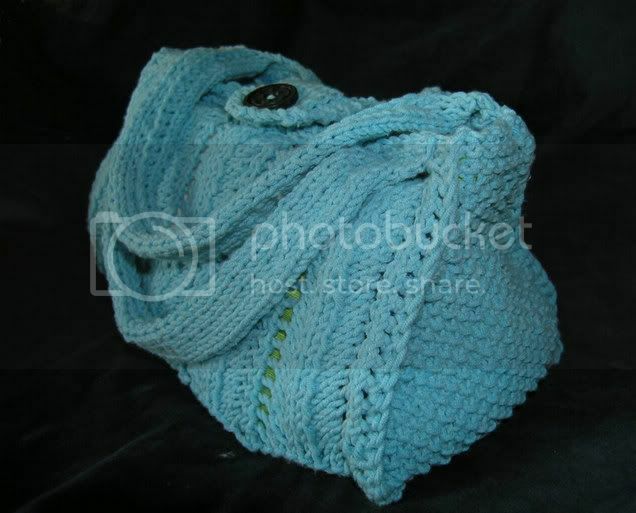 Have a look at the Knitalong Knitalong on Crafster, or at other people’s Totes in the Gallery ! Because I was having problems with my download system, all pattern purchases will now be going through Ravelry. Don’t worry, you don’t need to have a Ravelry account though ! If you encounter any problem with the process, please contact me and I’ll send the pattern via email asap.